It wasn’t too long ago that Meerkat was the big name in live streaming and the major networks were wondering whether this trend would be here to stay. 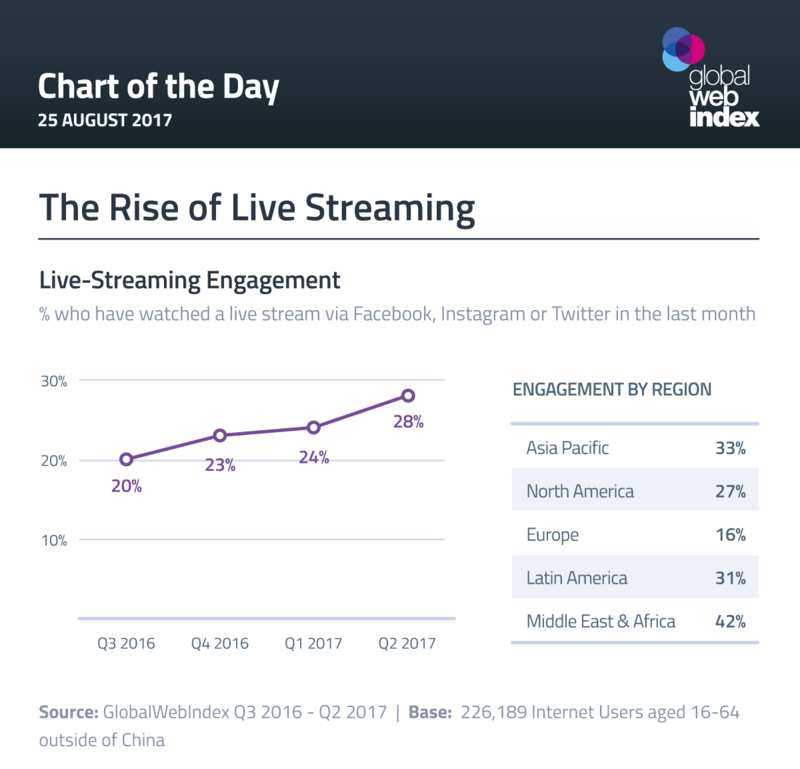 But fast forward a few years and, as our final chart this week shows, engagement with live streaming on the major networks is rapidly heading towards mainstream status. According to our latest wave of data, it’s now 28% of internet users who have watched a live stream on Facebook, Twitter or Instagram, up from 20% in Q3 2016. The consistent quarter-on-quarter rises here, alongside the vast investment that these networks have committed to live streaming, suggest that we will only see engagement increase in the future. The opportunity for brands is apparent here. 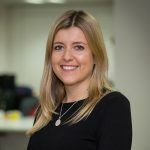 As ad-blocking continues to grow in popularity, across both desktops and mobiles, it’s more important than ever for brands to engage consumers via entertaining content and native advertising.